Leatherback turtles, beluga whales normally found in the Arctic, and white-tailed tropicbirds have all been recorded off the Irish coastline in what is among the biggest-ever nature surveys globally. Researchers from UCC and GMIT have announced their key findings from the ObSERVE Programme, two research surveys which aim to enhance our knowledge and understanding of marine life in offshore Ireland. The ObSERVE Acoustic and ObSERVE Aerial surveys recorded 20 species of whales, dolphins and porpoises, and analysed and mapped almost 2,200 sightings. The ObSERVE Acoustic survey used both static underwater listening devices specially designed to withstand extreme pressures in the deep ocean, and towed hydrophone systems deployed from the Marine Institute‘s RV Celtic Voyager and other vessels. The survey has provided new insights regarding the occurrence, distribution, abundance and migration habits of important species that are rarely seen at the sea surface. At least three species of beaked whales were recorded and the endangered blue whale was also detected underwater up to 200km away. Although mainly an Artic species, the beluga whale was also found during the survey. 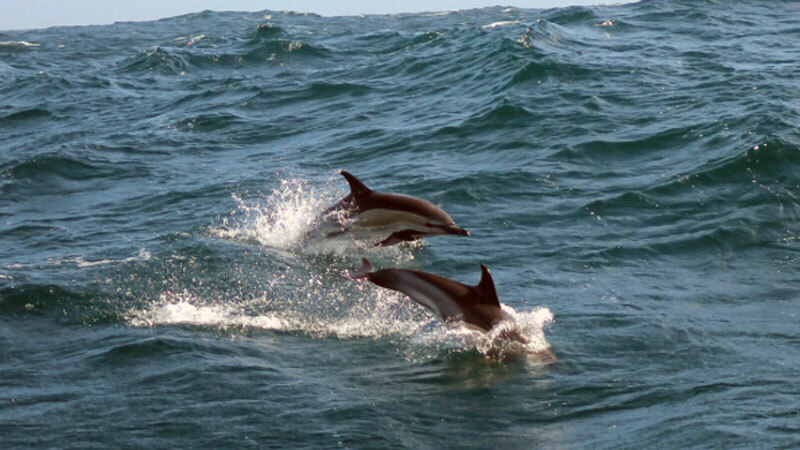 The ObSERVE Acoustic project was carried out by an international consortium led by the Galway-Mayo Institute of Technology with partners the Marine Institute, JASCO Applied Sciences, SMRU Consulting and the Irish Whale and Dolphin Group. The ObSERVE Programme is being delivered by the Department of Communications, Climate Action and Environment, in partnership with the National Parks and Wildlife Service of the Department of Culture, Heritage and the Gaeltacht.